Pakistan, itself dependent on security and development assistance from the United States and China, has not been able to substantially contribute to Afghanistan. Instead, Pakistan has for long been considered a terrorist sponsor state, directly affecting the stability of Afghanistan and the region. Pakistan has been wary of India’s active role in Afghanistan and considers a stable, friendly and cooperative Afghanistan beneficial only when it is under Pakistani influence, with limited Indian ties. 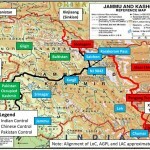 India’s developmental role in Afghanistan is considered by Pakistan as New Delhi’s strategic encirclement policy to counter Islamabad’s strategic depth in Afghanistan. India and Pakistan are both nuclear states in South Asia and play key roles in the regional integration process, but continued hostility between them leads to domestic and regional hurdles in the way of trade, peace and stability. Insecurity in Afghanistan and in the region as a whole is a threat to the future of peace and stability. To bring peace and stability, there is need for strong political will and there is a need for institutions within the framework of which countries of the region come together and discuss the region’s future. Such an institution exists, but we lack a strong will to build a stable region. Pakistan is not considered to be a trustworthy partner in the region and is known as a terrorist sponsor state. It was among three countries which officially recognized the Taliban regime and provided them support. This support still continues. Despite Pakistan being involved with terrorist groups like the Taliban, Haqqani network, Lashkar-e-Taiba and so on, the region needs peace to guarantee its future. 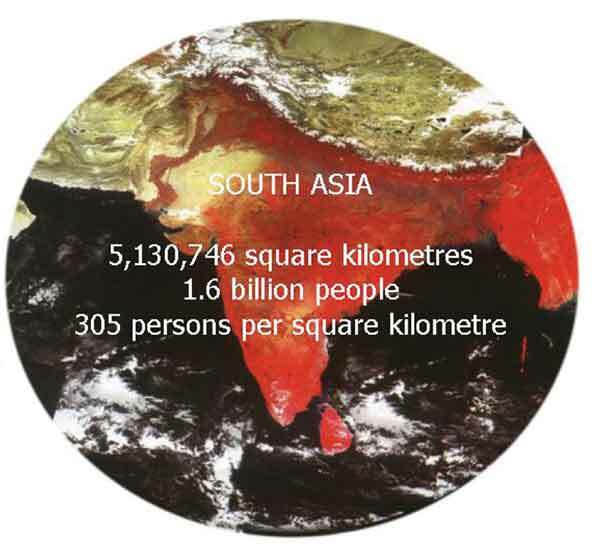 The formation of SAARC (South Asian Association for Regional Cooperation) as a regional organization in 1985 was basically for regional integration and to facilitate optimum utilization of human and material resources and accelerate the pace of economic development with free regional trade and investment. SAARC was established with the main objective of promoting economic cooperation among member countries through regular trade. Trade relations exist between India, Pakistan and Afghanistan, but not enough to move towards regional stability. The Afghanistan Pakistan Trade and Transit Agreement (APTTA) signed in 2010 to facilitate regular trade, allowed Afghan traders to export their goods to India through the Wagah border. However, Afghan traders were not allowed to import from India via Pakistan. Daily cross- border trade is a sign of friendly relations, but the current hostility between the three countries leads to instability in the whole region. After SAARC was established, measures were taken to promote regional economic cooperation, like SAPTA (South Asia Preferential Trade Agreement) in 1995 and the decision to create SAFTA (South Asian Free Trade Agreement). 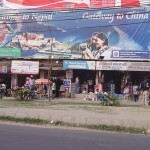 Measures to promote trade within SAARC are bold compared to its political agenda. But SAARC failed to achieve these goals because regional integration failed. Looking at the current situation, it is difficult to state that only trade can solve problems and bring the countries closer. Trade is happening, but not working as expected. The main reason is that there is no strong will to build a stable region. The problem is that Pakistan immediately reacts negatively to friendly Afghan-Indian relations, whether politically or in the economic sphere. When Afghanistan, India and Iran started the Chabahar project, Pakistani officials claimed it was a threat to Pakistan’s security and an attempt to isolate Pakistan in the region. To move toward regional integration, trade and economic relations are crucial, but trade can only happen if diplomatic relations are good. After 2014, with the coming of the National Unity government in Kabul, efforts to start bilateral, trilateral and multi-lateral trade were taken up very seriously for sustainable development and prosperity in the country. 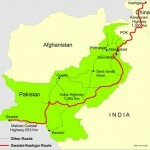 Earlier, it was almost only one – way trade, with Afghanistan importing all goods for survival. Now, seeing Afghanistan’s trade and economic capacity, countries in the region and the world are paying more attention to the country’s stability. Pakistan is not willing to see a stable Afghanistan, but India is strongly supporting a stable and prosperous Afghanistan which, ultimately, will benefit the whole region. Though Afghanistan and India enjoy good relations in different aspects, political and economic, the problem is they do not share borders and are dependent on a third country for transit. For a long time, Pakistan was the only option, but, because of political differences, it used the Wagah border as a means of pressure on both India and Afghanistan. The opening of Chabahar port can be a good alternative to Wagah. Trade happening through this port will be beneficial in terms of regional integration and will also benefit countries economically, culturally and politically. In today’s globalized multi-polar world, countries are cooperating to form powerful connections which can assure their long term stability and security in case of any threat from outside. Underdeveloped and developing countries need to integrate more than developed countries, because they lack the capability to defend their countries alone. Unless these countries attempt to integrate with strong political and economic will, there will be more chance of conflict, internal as well as external. The most potent problems confronting South Asia are terrorism and poverty, which can only be solved through collective cooperation or through an effective regional organization. However, the experience of a regional organization in South Asia has remained passive and failed because we do not have one interpretation of terrorism and a strong will to eradicate it. Pakistan uses terrorism as a pressure tool on India and Afghanistan and will continue to do so, unless there is international pressure on it. Trade can be the connecting point to ensure long term peace and development. Everyday economic activities and inter-dependency will make countries work for better regional integration where they can feel secure economically, politically and militarily. Without it, there would be more conflicts, poverty and finally, regional instability, which is the case now in South Asia. is a strategy and policy analyst at the Ministry of National Defence, Kabul, Afghanistan.